Harley Street Accountants run many seminars and events for medical professionals including doctors and dentists each year in the UK. This year too, we have decided to come up with different sets of events exclusively for the medical professionals. The main purpose of these events is to provide such professionals with a basic understanding of tax and accounting matters that plays an important part in their professional and personal finance. So, we encourage all the individuals involved in any medical profession to join and interact with us about their queries at the events and get plenty knowledge from this learning opportunity. Harley Street Accountants run many seminars and events for medical professionals including doctors and dentists each year in the UK. This year too, we have decided to come up with different sets of events exclusively for the medical professionals. The main purpose of these events is to provide such professionals with a basic understanding of tax and accounting matters that plays an important part in their professional and personal finance. Our venue 1 lies in the street of abcd. Please find the details below. Our venue 2 lies in the street of wxyz. Please find the details below. This november, we invite the best in accounting to speak on crucial topics. At present Dev Vasudeva is the Chairman for the iSynergy Investments Group of companies which help client’s manage and grow their business and help develop the strategy to build their wealth. Also via the wealth Management help clients with succession planning and tax. 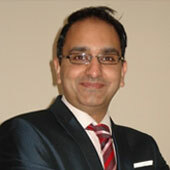 Dev Vasudeva is also the author of the business started guide and guest lecturer on topics of tax and business. We have limited tickets for the event. Please collect yours now. Please find the corresponding details below. Please make sure you get the ticket for our event. A dummy sample ticket is displayed to the right for your convenience.